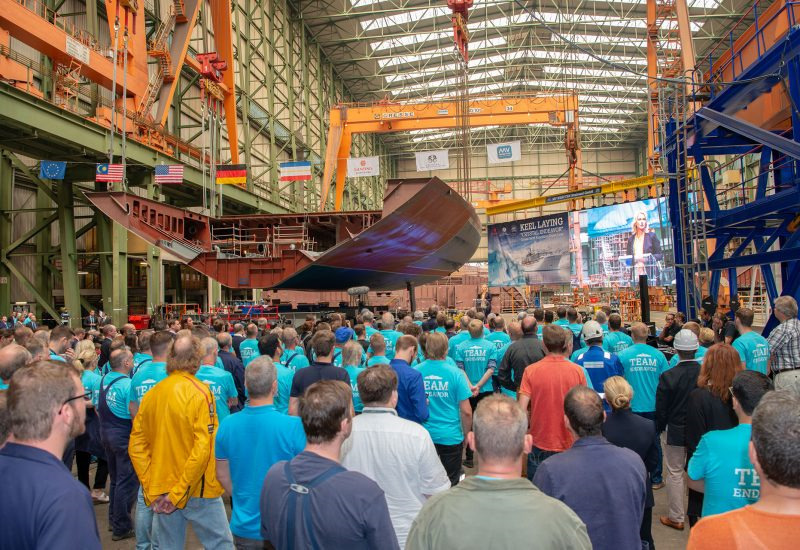 The MV Werften Shipyard in Stralsund recently laid the keel on the Crystal Endeavor in the presence of German Federal Chancellor Angela Merkel, Prime Minister Manuela Schwesig, Genting Hong Kong’s Executive Chairman and CEO Tan Sri Lim Kok Thay, Crystal President and CEO Tom Wolber, and other distinguished guests. In a press release, the Crystal Yacht Expedition Cruises announced that the 20,000 GRT yacht will be the world’s largest and most spacious purpose-built Polar Class ship. Crystal Endeavor will feature 100 suites and all the luxurious amenities and special touches for which Crystal is known. ICE is honoured to be performing a major part of the detail design of this prestigious new vessel, as a subcontractor to MV Werften. This assignment continues the ICE Group’s long-standing history of providing technical support to the German shipbuilding industry, including to companies that now form part of the MV Werften Group. Photo courtesy of Crystal Insider™.